The Indian chutney repertoire is absolutely tongue-tickling, and quite handy in the preparation of snacks and chaats. 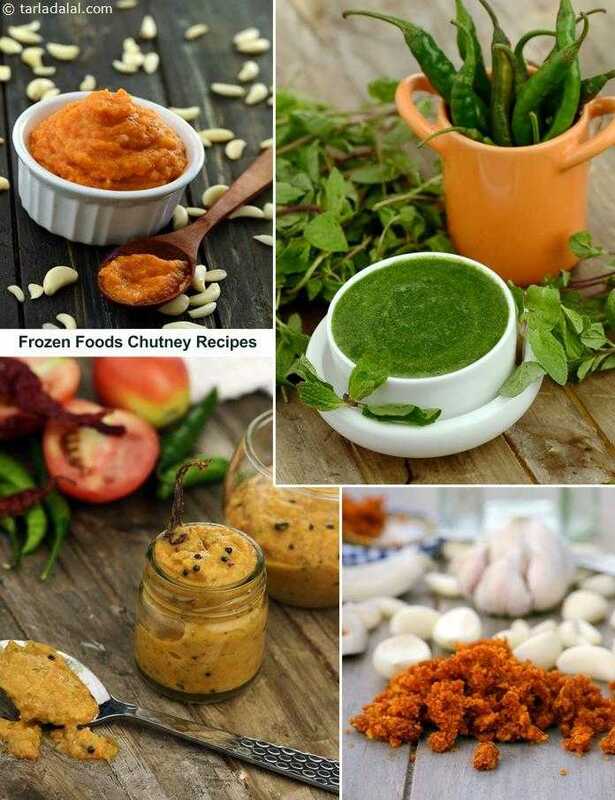 There are some common ones like sweet chutney and green chutney, which are indispensable in the preparation and serving of Indian snacks, so you can make these and store in an airtight container in the freezer for at least two months. This recipe of sweet chutney uses dates and jaggery but at times some people prefer to use tamarind as well. It stays well in an airtight container in the freezer, and is used to make famous recipes like Bhel Puri and Sev Puri. Green chutney is the spicy counterpart, which has an appetizing flavor and herby aroma. It is used frequently in the preparation of chaats and sandwiches like the Vegetable Cheese Grilled Sandwich. Another common ingredient used in the preparation of Mumbai roadside snacks like Vada Pav is the Sukhi Lehsun ki Chutney. It is a dry chutney but is best stored in the freezer to extend its shelf life. With its nutty texture and flavour, green peas chutney is further enhanced with green chillies, coriander, and such ingredients that make it a vibrant spread for breads and buns.